Antec Inc, the global leader in high-performance computer components and accessories for the gaming, PC upgrade and Do-It-Yourself markets, showcased their latest addition in the gaming series - the award winning GX700 and the value series - V1 enclosures along with other gaming products at the BYOC Gaming Festival 2013 held at New Delhi. 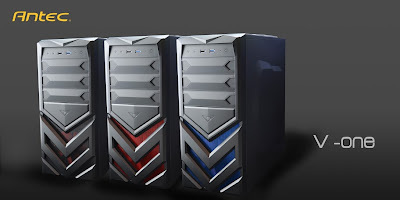 Antec GX700 is the military themed mid-tower chassis for the gamers and V1 is an aggressively priced entry level enclosure for new builders and system integrators. Antec received great response at the event. The bold design gaming enclosure features metal clasps and rugged drive bay covers. Tool-less drive bays and customizable HDD trays in Antec GX700 allows enthusiasts to assemble and expand faster. 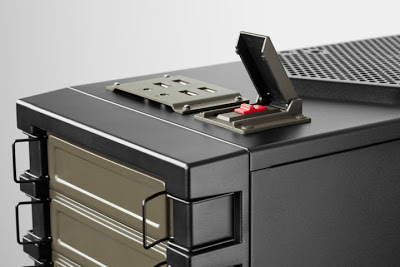 Antec GX700 accommodates GPUs up to 11.5" and integrates a unique flip access fan controller situated next to easy-to-access USB 3.0 and USB 2.0 connectors. With two 140 mm top fans capable of mounting 240 mm cooling radiators provides cooling to the system and can be easily upgraded with the enclosure's five 3.5" tool-less HDD trays, each with SSD/HDD mounts. GX700 is available in a unique black and military green color combination. The Antec V1 Enclosure is the latest offering for new builders and seasonal system integrators alike. Antec V1 enclosure is designed with features any builder will value at an attractive price - ample cooling,USB3.0,tool-less 5.25" and 3.5" drive bays and bottom-mounted PSU intake with air filter - to keep the PC together with ease and get to the fun stuff. 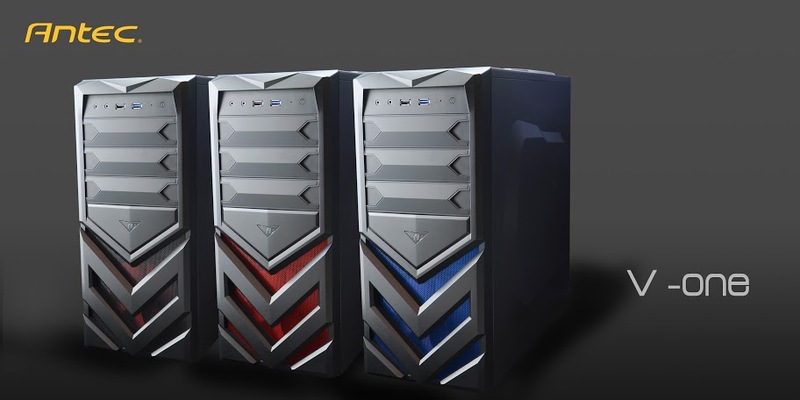 The Antec V1 comes in 3 color variations for the front LED Fan and mesh namely - blue, red and black. Kevan Li, Business Head - India at Antec Inc, said "We are happy to announce the widely acclaimed award winning bold and rugged GX700 cabinet which is much awaited among the gaming enthusiasts in India, also the V1 cabinet which is a very appealing combination of features, aesthetics and value. These two cabinets encompass a very wide spectrum of gamers, high end users and system integrators. " 8 drive bays: 3 x 5.25" / 4 x 3.5" / 1 x 2.5"
"We are happy to announce the widely acclaimed award winning bold and rugged GX700 cabinet which is much awaited among the gaming enthusiasts in India, also the V1 cabinet which is a very appealing combination of features, aesthetics and value. These two cabinets encompass a very wide spectrum of gamers, high end users and system integrators. "